used regularly and extensively to convey ideas as well as to generate support for candidates for election. Posters are also an inexpensive way for a group to communicate a simple message. Frequently, posters are created for use for a very brief period and then are discarded and lost forever. It is unfortunate that many posters have suffered that fate. Posters can create a historical reference for a people, a movement or a society. Posters can be a very beautiful form of propaganda. In Judaism and Christianity an olive branch is a sign for peace. The Torah (The Old Testament) describes a story in which a dove was released by Noah after the Great Flood in order to find land. The dove came back carrying an olive branch in its beak, proof for Noah that the Great Flood had receded. (Book of Genesis 8:11). After World War II, Pablo Picasso was responsible for the decisive use of the dove of peace. His lithograph designed for the international peace congress in Paris, 1949, features the white ancestor of a new family of doves. Since then, graphic artists have produced an endless series of doves of peace in different shapes (in Japan, the crane is used to symbolize peace, and the image of the crane can be seen in many posters, drawings etc.). The audience has a chance to see how different artists from different countries and cultures have utilized the symbol of the dove. While the styles and themes are very diverse, they also show the breadth of the desire of people from around the world to live in peace. The universality is also reflected by the posters which reflect solidarity with people in other countries. 1986 was designated as a year of peace by the United Nations. In recognition of that designation, many groups created posters to recognize that designation. 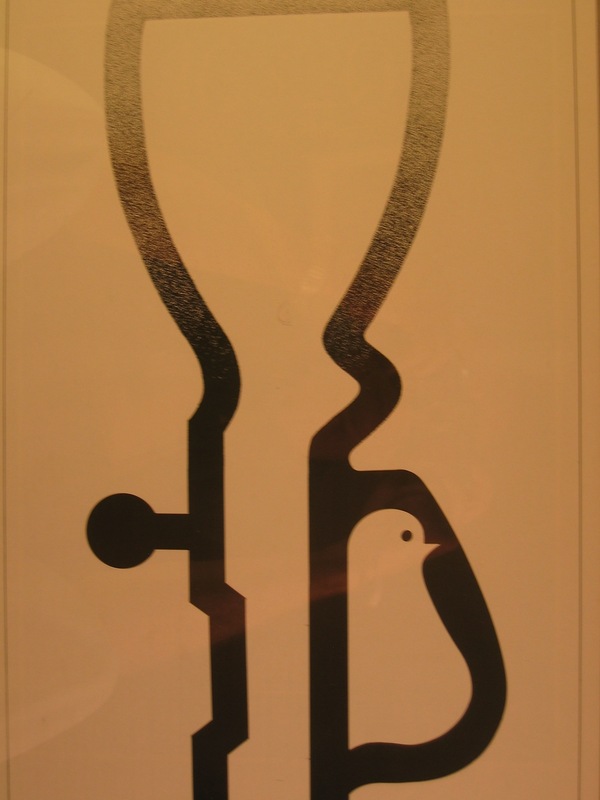 Some of those posters featured the dove as the symbol of peace and are included here. The placards next to the posters give the main identification, the country where the poster was produced, the organization it was produced for, translations to English (where necessary), the name of the artist (where known) and the date created (where known). The posters are from a collection of more than 5300 of Stephen Lewis. He is a long-time activist in the labor movement, and the former Treasurer of his union. 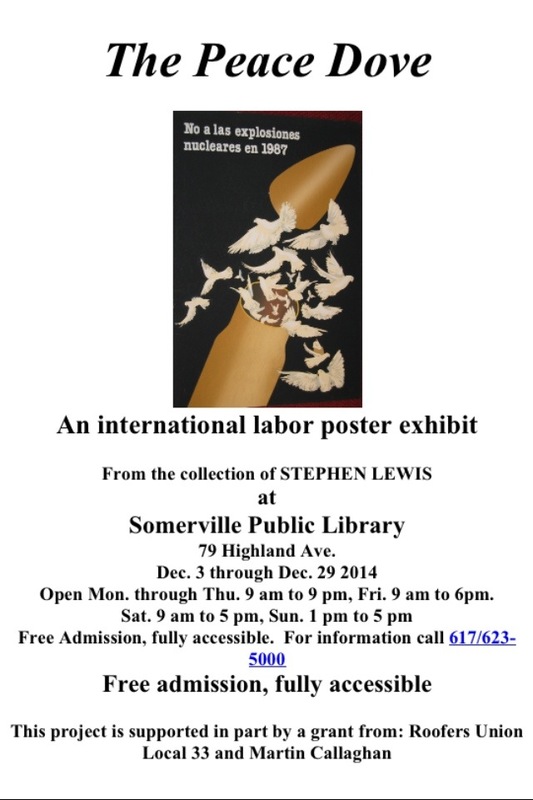 Stephen has exhibited at a number of public libraries in Massachusetts, Boston City Hall, and two of the state Heritage parks. He has presented at the annual conference of the National Council on Public History, and on some cable television programs. He can be reached by email at lewisposters@gmail.com or at Facebook under labor/progressive political posters. The posters/photos were contributed by friends, collected at conferences, visits to some of the organizations, and from connections made through the internet.